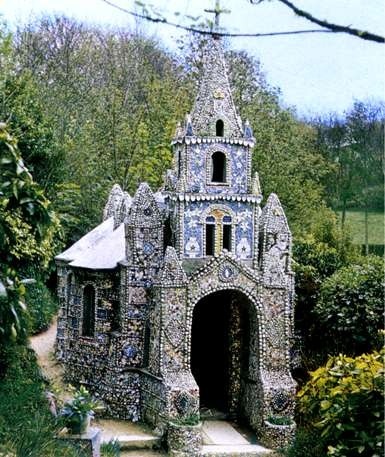 A work of art and a labour of love, the Little Chapel is possibly the smallest chapel in the world. It was built by Brother Déodat who started work in March 1914. His plan was to create a miniature version of the famous grotto and basilica at Lourdes in France. Guardianship of the Little Chapel now rests with Blanchelande College which is run by a Charitable Trust. The Little Chapel is beautifully decorated with seashells, pebbles and colourful pieces of broken china and the College has an ongoing programme of repairs and improvements.